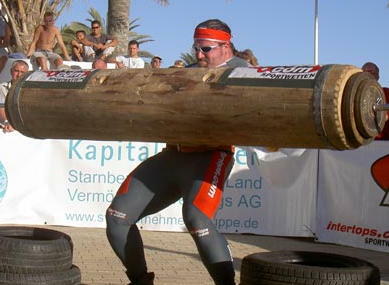 The log lift debuted in strongman in 1980 at the Worlds Strongestman competition. It was dominated by 2 great pressers, Bill Kazmeier and Lars Hedlund. The log lift has evolved alot since it was first introduced to strongman. In the early days the log were always wood, now a days they are most often made of metal. Many purists of the sport prefer the wood logs to the metal log, however the metal logs are much more durable. The lifting technique in the loglift has also changed. 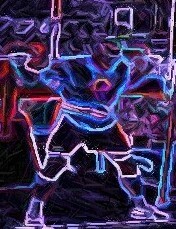 The early days the athletes just used pure power to do the lift. Now there is much more technique invloved. Most athletes use the push press technique to press the log overhead. Some use the split jerk technique that is used in olympic stylelifting in the clean & jerk lift.